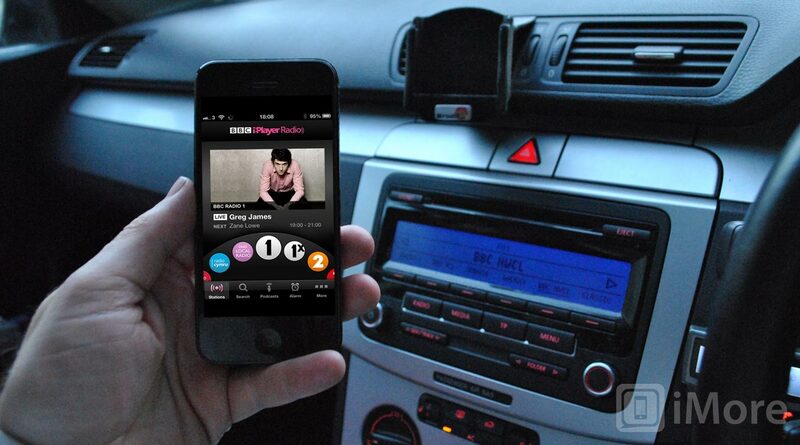 BBC iPlayer Radio is the latest app in the BBC (British Broadcasting Corporation)'s iPlayer portfolio and it offers live BBC radio stations. It's a free download for UK television license payers and offers some nice features like the ability to set an alarm which will automatically start playing your chosen radio station. Daniel Danker, General Manager, Programmes and On-Demand for the BBC, said: “BBC iPlayer Radio is radio for an audience that expects to access our content anywhere: now you truly can take BBC Radio with you wherever you go. BBC iPlayer Radio has been designed around a dial system that lets you spin through every available BBC radio channel which even includes local radio stations too. You can swipe to reveal on-demand catch up content and videos on each available stations page as well as set reminders to ensure you don’t miss your favourite radio show. It's compatible with the iPhone 3GS, iPhone 4, iPhone 4S, iPhone 5, iPod touch (3rd generation), iPod touch (4th generation), iPod touch (5th generation) and iPad; they must be running iOS 5 or higher. Unfortunately the app has not been enhanced to work with the larger iPhone 5 screen as of yet. We assume that it will come in an update sooner rather than later. I had a quick try of the app and really liked the way the station dial worked. If you try this one out, make sure to let us know what you think! There is a short video below by the BBC, showing how the app works. Unfortunately the BBC decided to do it in Flash, not our fault, blame the BBC!